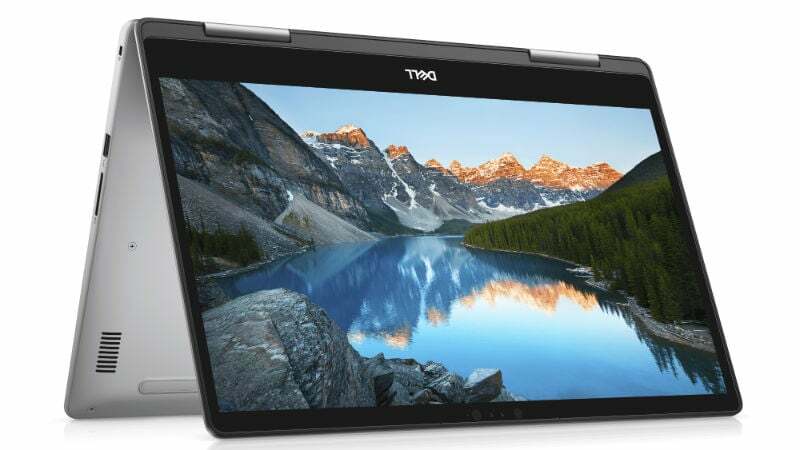 Dell on Thursday expanded its notebook lineup with the launch of the Inspiron 13 7000 2 in 1 (7373), Inspiron 15 7000 (7570), and Inspiron 13 5000 (5370) in India. The Dell Inspiron 13 7000 2-in-1 (7373) with Core i5 is priced at Rs. 76,290, while its Core i7 variant is available with a price tag of Rs. 96,190. 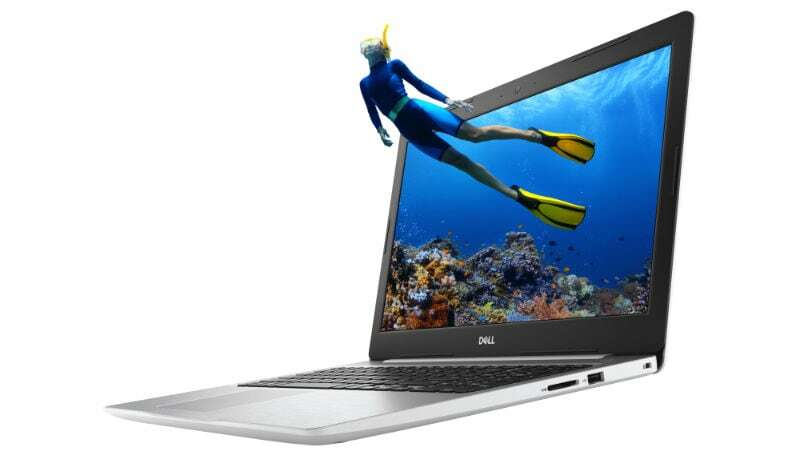 The Core i5 variant of the Dell Inspiron 15 7000 (7570) is available at Rs. 77,190, whereas the Core i7 version is priced at Rs. 88,690. The Dell Inspiron 13 (5370) with Core i5 is priced at Rs. 60,690, while its Core i7 variant is priced at Rs. 75,790. All the new Windows 10-based notebooks have eight-generation Intel Core processors and are available for purchase through Dell’s online store and select Dell exclusive stores, Croma, and Reliance Digital outlets. The Inspiron 13 (5370) will go on sale in late-January 2018. Among the three new Inspiron models, Dell Inspiron 13 7000 2 in 1 (7373) is the most superior one. The new Inspiron 13 7000 2-in-1 has a 13.3-inch FHD IPS Truelife LED-backlit narrow border touch display and a backlit full-size, spill-resistant keyboard. There are standard SSDs options as well as advancements including a USB Type-C port and SmartByte streaming technology. The notebook has Quick Charge technology that is claimed to let users “go from zero to ready to go” in 15 minutes. Additionally, there is facial recognition through Windows Hello and an infrared camera. Dell has provided 8GB and 16GB RAM options with the Inspiron 13 (7373) alongside up to 512GB SSD. Also, the notebook has Intel UHD Graphics 620 with shared graphics RAM. The Dell Inspiron 15 7000 (7570), on the other hand, features a 15.6-inch FHD IPS display and an backlit keyboard. The notebook has a support for up to 32GB DDR4 RAM and discrete graphics option with up to 4GB GDDR5 dedicated video RAM. Also, it has dual drive option to support up to 256GB SSD and 1TB HDD. There is a 180-degree hinge that helps to lay the screen flat. The notebook has technologies such as IR camera, USB Type-C 3.1, and a 3-cell, 42Whr battery to deliver nearly nine hours of usage on a single charge. The Dell Inspiron 13 5000 (5370) comes with a 13-inch FHD IPS display that supports video streaming with Smartbyte. The notebook offers up to 32GB of RAM and graphics options up to 4GB of GDDR5 video RAM. Also, there is SSD storage and connectivity options such as USB Type-C 3.1 in addition to Wi-Fi and Bluetooth. The notebook has an easy log in option with a built-in fingerprint reader and an immersive audio tuned by MaxxAudio Pro. “We’ve brought in durability and long-lasting strength in encased anodised aluminium body. The new Inspiron family is every bit striking and versatile, all clubbed into a luxurious lightweight design. We are very excited about making these new machines available in India, and look forward to the interest they will attract from a range of users,” said Alen Joe Jose, Product Marketing Director, Consumer & Small Business, Dell India, in a press statement. Last month, Dell brought the Inspiron 15 7000 Gaming notebook to India with a starting price tag of Rs. 1,27,390. The notebook came with an eight-generation Intel Core i7 processor, coupled with 16GB of DDR4 RAM and Nvidia GeForce GTX1060 graphics. The company also launched the latest version of the XPS 13 in the country earlier this month with a price starts at Rs. 84,590. That notebook included multi-touch and QHD+ display options.